Buena Auto Care Offers Auto Repair Services You Can Count On! 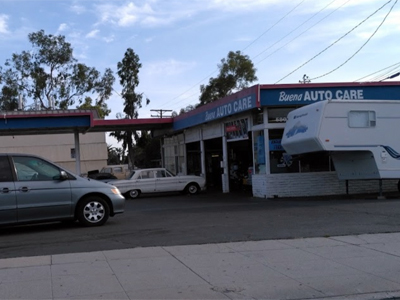 Since 1987, Buena Auto Care has provided motorists in the Ventura, CA 9003 area with comprehensive auto repair services that include 4x4 Services, Brakes, Car & Truck Care, Domestic Cars & Trucks, Electric and Hybrid Vehicle , Electrical Services, Electronic Services, Engine & Transmission, Engine Maintenance, Fleet Brakes, Fleet Drive Train, Fleet Electrical, Fleet Electronics, Fleet Engine Work, Fleet Front End Services, Fleet General Services, Fleet Suspension Work, Fleet Tires, Fleet Trailer Work, Fleet Wheel Services, General Services, Heating and Cooling Services, Ignition Interlock Systems , Import Cars & Trucks, Inspections and Emissions, Miscellaneous Services, Quick Lube Services, Tires, Towing, Transmission Services and Undercar Services. Our goal is to offer the best services available at affordable prices to get you back on the road in no time. For a high-performing vehicle, trust Buena Auto Care with your car, truck, or van. To learn more about the services we offer, please contact us by phone at 805-642-6068 or send us an email. We also invite you to learn more about our dedication to you, our valued customer. The best auto care. Good service, reasonable prices. Kevin runs a great shop. Great customer service, seemed honest, didn’t try to up sell me on anything I didn’t need and reasonable prices. I've been taking all my car repair needs here for years. They are honest and reliable every time. The guys there knoq what they arw doing. One the best experiences when it comes to mechanica. Buena Auto Care has been servicing my Jeep Cherokee since I bought it years ago. Since then I have steered friends and family to them and they always do a great job. They are always courteous, honest and never try to up sell me which I appreciate. Buena Auto Care deserves the highest rating possible. I visited Buena Auto Care two times with desperate need for emergency attention and repair. At both times, management and the service crew were friendly, understanding, supportive, most professional, most efficient and effective in a diagnosis of the problem, and most fair in billing. I recommend Buena Auto Care to all my friends who need service for their cars. 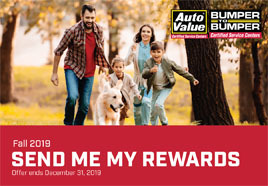 Have made Buena Auto Care my go to service center for all my cars. They are very reasonable, possess an excellent knowledge of all range of cars, and are able to diagnose problems quickly. I have always gotten the truth from them while receiving the care of a local business vs. chain store. They are constantly looking to resolve my auto problems as if they were working on their own vehicle, saving me money by not doing added repairs that were unnecessary. Thanks Kevin and crew! I have trusted Kevin and his extraordinary mechanics for over 20 years. This is the only car care I would dream of having. My car and my children?s cars have been taken care of in the highest possible manner. Everyone there is friendly, trustworthy, and reliable. Friendly reliable and good hearted. These are qualities that describe the mechanics at Buena Auto. I've dealt with many auto shops in Ventura and they have always been upfront helpful and accommodating. They're so well equipped that its the place where I bring all of my professional vehicles for service and maintenance as well. Thumbs up!